Lady Shri Ram College, Delhi University, is organizing its Annual Literature Festival, LITMUS, on the 29th and 30th of January. The fest will see a wide range of literature related events, both competitive and otherwise, over a two day period. 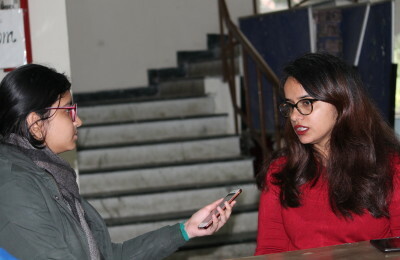 The festival is one of the most popular of its kind in Delhi University, and draws participants from numerous colleges. LITMUS is a vibrant platform for students from across disciplines, with literary interests, to interact and exchange ideas on contemporary culture, society and politics. This year Litmus is hosting two central, academic events. One will be the students’ seminar, the topic for which is Indian Literature. The second, is a book discussion on ‘In Search of Sita: Revisiting Mythology’, with the editors of the volume. Professor Malashri Lal and Ms. Namita Gokhale shall conduct the discussion, examining the role of Sita in the Ramayana and develop issues that have been raised in the anthology through the collection of essays, conversations and commentaries. The key note speaker for the seminar shall be Aijaz Ahmad and the chair will be headed by eminent professor and writer Alok Rai. The seminar will include a paper presentation competition on the topic ‘Indian Literature from the Canonical to the Popular’ and is open to all students of DU. Key Note Speaker Professor Aijaz Ahmad on ‘Indian Literature’: Revisiting the debate.